Following dramatic dissolution of Zionist Union, Labor chief Avi Gabbay has choice words for former partner Livni, blaming her for split. During a public announcement Tuesday morning, Labor Party chairman Avi Gabbay wished Hatnuah faction chief Tzipi Livni good luck as he severed the alliance between the two parties, effectively ending the Zionist Union. 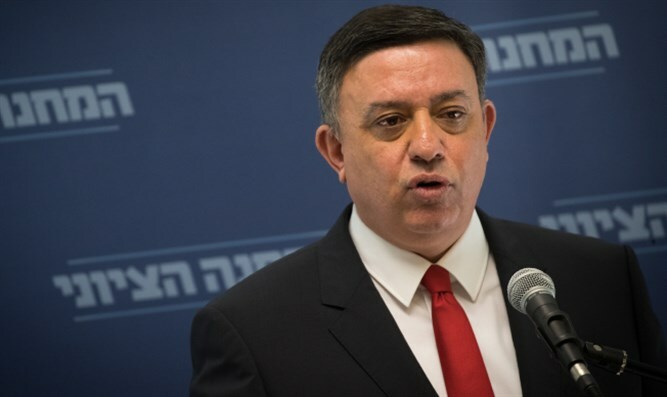 Behind closed doors, however, Gabbay was far less charitable to Livni, blaming her for the dissolution of the Zionist Union and accusing her of behaving in bad faith. Speaking at a party meeting shortly after his announcement said he had no regrets for the termination of the Labor-Hatnuah alliance, nor for the abrupt manner in which he dissolved the Zionist Union, without even notifying Livni ahead of time. Gabbay had choice words for Livni at the party meeting, criticizing the Hatnuah chairwoman’s behavior after she was tapped to become Opposition chief.